President Trump to pardon Dinesh D'Souza. We can only hope: "The words 'deep state' evoke images of evil geniuses carrying out schemes in hollowed-out mountains with submarine entrances. What if they’re not that smart, though? Just malicious?" If you think Florida Man is quite the character, wait until you meet Florida Woman (seriously, though, I hope she gets the help she needs). Obama advisor and Hillary supporter Ben Rhodes learns there ain't no Santa Claus (or if there is, he decided Ben should be on the naughty list). Google: just tellin' it like it ain't. We really need to soundproof the attic; ol' Uncle John is making those strange noises again. Possible job potential for a retiree? As for Britain ... ... it's more like that the gloves are coming off. They've been on the downslide into Hell for several years ago, and the majority of the population has been conditioned to accept it as acceptable. Ol' Uncle John just needs to lay off the sauce, that's all. Ummm, a retiree with a job is...not retired, right? Unless I'm doing retirement wrong. Maybe you meant income potential for a retiree? Gun cleaning sounds like a lot of work, though. I'll just stick to selling my rinardman single shot adapters. 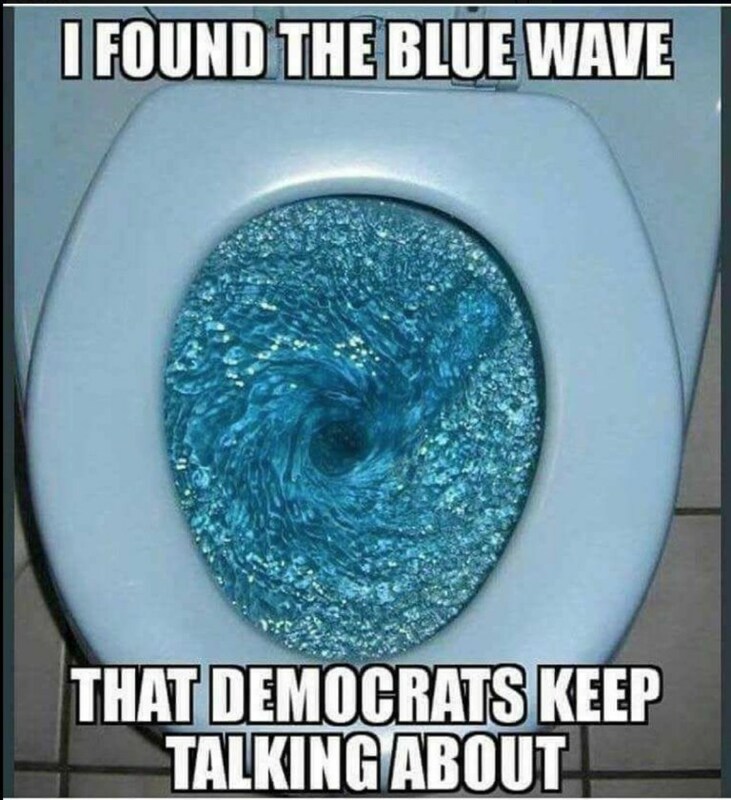 That blue wave is funny unless you're in Texas. 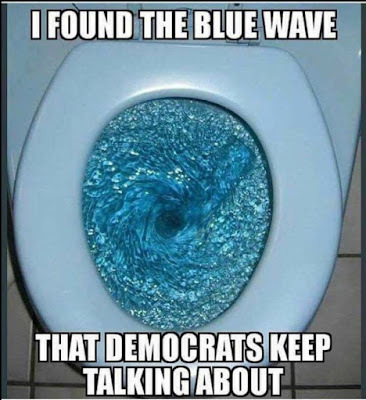 We have an influx of Democrats from sh*thole states that are escaping the consequences of their stupidity. And because they never learn the lesson, or are unwilling to acknowledge the flaws in their plans, they set about remaking the state into the place they left. Or it could be a grander long term plan to turn the country blue. Call it gainful or incidental employment, then. Split hairs, much? Deborah: You're absolutely spot on. I've seen the same thing in Virginia. Sorry about that. I was being facetious, but failed miserably at conveying that. Dude, I was being facetious, too. No apology necessary. I figured we had a nice Hope and Crosby thing going. Oh, okay. I wanna be Crosby. You know, I can sing like him. Well, like him in the sense I can form the words of a song with my lips & tongue. "Road to Whatever". Who's Dorothy Lamour? Any volunteers? R-man: Well, let's see. Crosby always gets the girl, but I've already got one. So, yeah, that's fine.